Navi is a company focused on delivering innovations that help children live brighter, healthier futures. Over the past three years, our dedicated team has devoted thousands of hours to a singular task: to build and commercialise a medical device that enables doctors and nurses to deliver better care in the Neonatal Intensive Care Unit setting. The team has spent countless days in neonatal & pediatric intensive care units, observing lifesaving procedures first hand, talking to clinical staff to gain a deeper understanding of the challenges they face on a daily basis, and coming up with innovative solutions to the engineering problems. But this is so much more than just a technical or business challenge - it has become a truly personal labour of passion. Navi has taken on a much more personal meaning for each and every one of us. Every day we take pride in getting one step closer to realising our vision of giving critically-ill newborns brighter, healthier futures. Every day we take pride in getting one step closer to realising our vision of giving critically-ill newborns brighter, healthier futures. The Navi team is an award-winning mix of business experts, biomedical engineers, and a senior neonatologist, who are passionate about improving pediatric patient outcomes. Alex focuses on project management, strategy, fundraising, and governance. Alex has a decade of experience in technical and management roles for international engineering companies such as Lockheed Martin, Airbus and Boeing, and management consulting roles in the education and engineering industries. He holds a board position in a global health NFP improving medical education in developing regions, and is director of the Melbourne Space Program. Mubin leads core engineering & software development activities, supports clinical strategy and manages benchtop research. He is a biomedical engineer with experience in highly technical roles, including as a Research Engineer at Murdoch Children’s Research Institute in the Cardiovascular Bioengineering division. Mubin specialised in medical device design during his Master of Engineering and has close connections with the healthcare industry in Pakistan. Shing leads the daily operations and product development workstreams. Shing has a wide range of business consulting and biomedical engineering skills developed through product development and consulting roles at the Bionics Institute, ETH Zurich and Pricewaterhouse Coopers. Shing represented Navi in Houston for the Texas Medical Center Accelerator program (TMCx) and was named a 2018 Forbes ‘30 Under 30’ for his contributions to the MedTech industry in Australia. Wei manages finance activities, supports business strategy, and is a frequent presenter for Navi. She has almost a decade of experience working with government and regulatory authorities in the environment and climate industries in a range of consulting and management roles for higher education, corporate and government clients. 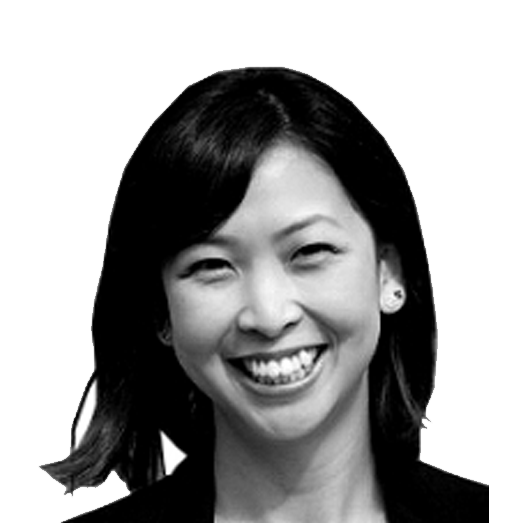 Wei specialised in finance and entrepreneurship during her MBA at the Melbourne Business School. Christiane leads clinical research, ‘voice-of-customer’ activities, and supports the engineering activities. She has been caring for critically-ill newborns for over 30 years, including 20 years at the Johns Hopkins NICU in the USA. She currently works at the Royal Women’s Hospital as a Senior Neonatal Consultant and holds an MBA from Johns Hopkins University, and an Associate Professorship at the University of Melbourne. Brad leads marketing and stakeholder engagement activities and also supports daily operations, business strategy, and finance workstreams. He has extensive background in leadership and management roles within small businesses and currently oversees national distribution of a global brand within Australia. He has worked in consulting roles at Deloitte, is a qualified CA and specialised in marketing and entrepreneurship during his MBA at the Melbourne Business School. Elpis is a commerical and business strategy advisor at Navi. She provides guidance on commercial and clinical activities as well as regulatory and reimbursement advice. Elpis has experience providing clinical research consulting services to international medical technology organisations, device manufacturers and suppliers. She has overseen human clinical trials and studies for medical device start-ups and has experience commercialising pediatric medical devices. 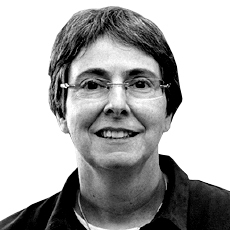 Prof. Grayden is a technical advisor at Navi and provides guidance on core technical, research and clinical activities. David is the Head of the Biomedical Engineering Department at the University of Melbourne and has over 25 years of experience in Biomedical and Electrical Engineering. He has extensive knowledge and research expertise in a range of areas including computational neuroscience, epilepsy, and bionics and has contributed to the commercialisation of noteable Australian medical devices such as the cochlear ear impant and stentrode brain implantable machine interface. Stephanie is a clinical and marketing advisor at Navi. She is Global Director for Clinical Marketing at Angiodynamics, a US based medical device manufacturing company. She is also Director of the Association for Vascular Access (AVA) and a registered pediatric nurse. In 2017 Stephanie was awarded the title of Janet Pettit Scholar for outstanding contributions to the field of ‘Neonatal & Pediatric Vascular Access’, has been instrumental in leading the publication of best practice guidelines in pediatric central catheter placement, and has experience in ECG tip location devices. A/Prof Plaumer is a clinical advisor at Navi and provides guidance on clinical, research, and engineering activities. Andreas is a Consultant Pediatric Cardiologist with a sub-specialty interest in electrophysiology. In 2009, he moved to Melbourne for a full time appointment with The Royal Children’s Hospital to build up invasive electrophysiology and is now the Clinical Lead for Interventional Electrophysiology. His research interests include invasive and non-invasive electrophysiology, 3D mapping systems and remote magnetic navigation, and quality improvement in ablation therapy. Navi is a company with a vision to deliver brighter, healthier futures for children around the world by addressing important unmet needs in pediatric medicine. Growth Mindset - Motivated to achieve ambitious goals through personal learning and effort. Determination & Courage - Driven by a passion to deliver impact, and persistent in reaching our goals. Empathetic - Understand the problems and challenges other are facing, and work with partners to overcome them. Trust & Integrity - Honest, accountable, supportive and transparent in how we work.